Explore Bhutan - a presentation & documentary film - Hawaiian Trail & Mountain Corp. Explore this magical himalayan kingdom, a small country of buddhist monasteries, lush valleys and high mountain passes. Join this family adventure as we hike hillsides near Thimphu, ride bikes in Gangtey valley, visit historic Punakha and climb infamous Tiger’s Nest in Paro. The Kingdom of Bhutan is the only remaining Vajrayana Buddhist country in the world today. The major difference between Vajrayana Buddhism and all other Buddhist sects across Asia is the incorporation of the thangka in meditation. 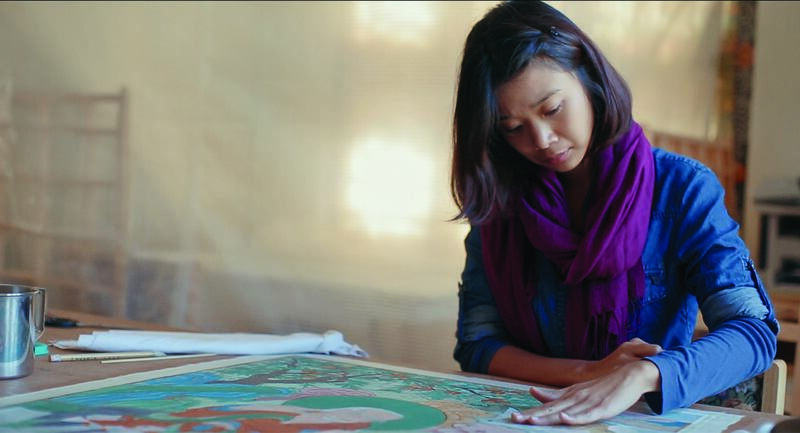 Thangkas are intricately painted scrolls that act as a form of spiritual and historical storytelling, passing on blessings of past spiritual gurus. The more a practitioner meditates using these sacred scrolls, the more a thangka comes to life through visualization. When a thangka is damaged, it can no longer be used for visualization or rituals. Because of improper care and storage, thousands of ancient masterpieces, and the rich cultural heritage embedded in every scroll, are on the brink of being lost forever. 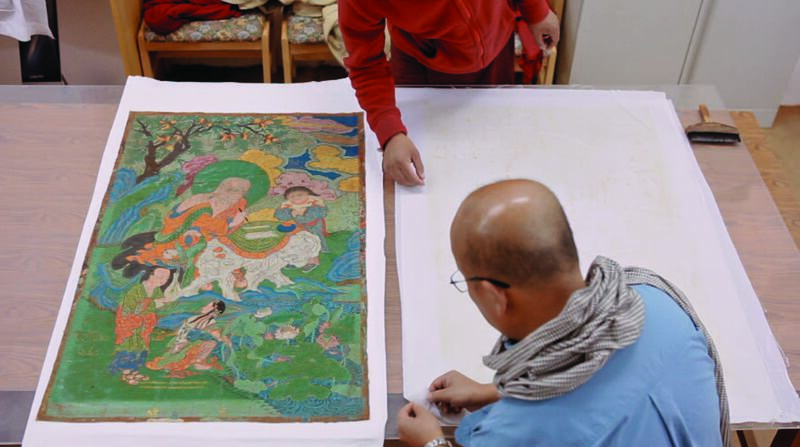 By a twist of fate, an American art conservation master crosses paths with four monks and a royal scholar, thus embarking on a lifelong journey to restore these holy relics to their former glory. We follow the Conservation Workshop team over the course of three years as they race a against a mass extinction of their living culture, and learn the art of letting go along the way.